Although FREVUE came to an end in September, the project still wins awards. Lately, FREVUE has been rewarded by two juries! On the 11th October 2017, FREVUE coordinator Cross River Partnership (CRP) received the the 2017 LowCVP Low Carbon Champions of the Year Awards in the Low Carbon Road Transport Initiative of the Year category. 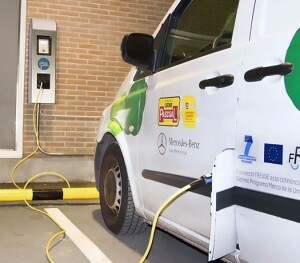 The efforts done by the project partners to gather the evidences of the multiple positive impacts from the deployment of electric vehicles including a reduction in air pollution and noise, as well as cost savings were rewarded. On 23rd November 2017, Cross River Partnership received the National Air Quality Award in the Freight Transport Air Quality Initiative of the Year category. FREVUE was rewarded for the successful deployment of over 80 electric freight vehicles in eight of Europe’s largest cities. Congratulations to Cross River Partnership and all FREVUE partners! Video recordings of the FREVUE webinars available now. On Monday 4th September 2017 and Tuesday 5th September 2017, the FREVUE consortium organised two webinars, respectively on the environmental impacts of electric freight in urban areas and on the economics of electric urban logistics. The 2nd and 3rd FREVUE webinars will take place on the first week of September 2017 and will deal respectively with the environmental benefits of electric freight vehicles and the economics of electric freight in urban areas. FREVUE partner, London Imperial College, will present the findings regarding the environmental impact of electric freight vehicles in urban areas, in particular the impact on the reduction of emissions. FREVUE partner, TNO, will present the current economic framework, the opportunities and the barriers that impact the development of electric deliveries in cities. Both webinars are free to attend and will last one hour. They will include interactive questions & answers sessions. FREVUE – ELIPTIC Workshop – Register now! The EU projects ELIPTIC and FREVUE will hold a joint workshop in Barcelona, on Wednesday 13th September, on the following topic “the use of public transport electric infrastructure for charging of urban freight vehicles”. This workshop is organised especially for local authorities. Other stakeholders interested in electric freight and electric public transport are welcome too. In cooperation with the local partners in Barcelona, FREVUE & ELIPTIC organise a workshop on the following topic: the use of PT electric infrastructure for charging urban electric freight vehicles. The workshop will start with a presentation of both projects and a presentation of specific cases, including Barcelona. These presentation will be followed by an interactive session. 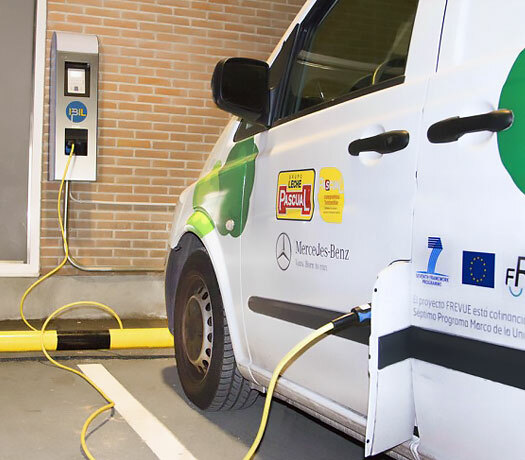 In the afternoon, participants will take part in a site visit in the city of Barcelona during which charging infrastructure will be presented. The programme of the workshop can be found here. The workshop is kindly hosted by BSM. Attendance to the workshop is free. However, the number of seats is limited. To participate, please register online here. Cities can be eligible for travel costs reimbursement. To get reimbursed, please contact Polis first. 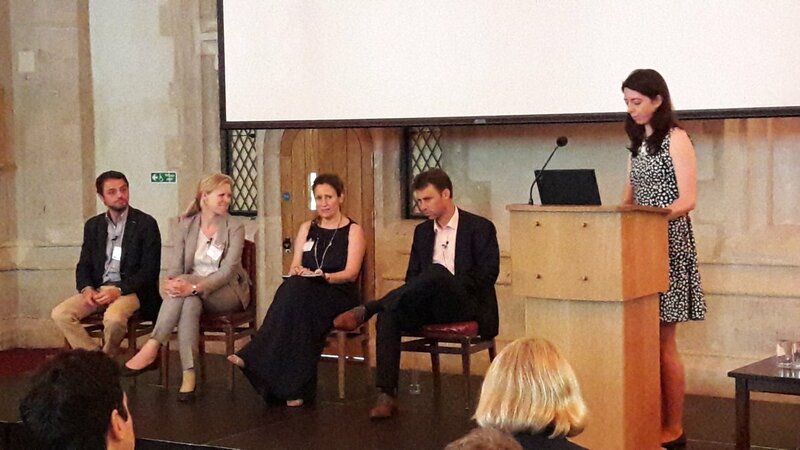 On 21st June 2017, over 200 urban freight stakeholders from London, the UK and Europe gathered in London’s Guildhall for the final FREVUE conference. 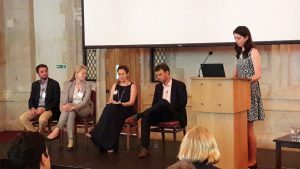 The FREVUE Final Conference was the opportunity for all the FREVUE partners to share their experience and to present the results of the demonstrations in eight European cities (Amsterdam, Lisbon, London, Madrid, Milan, Oslo, Rotterdam & Stockholm) and the results of the research activities. The programme conference is available here. The results brochure is available here. The participants also had the opportunity to have a look at several electric freight vehicles which were exposed in the courtyard of London’s Guildhall, from small vans to larger trucks.